Where do the women you love to read love to go? We asked some of our favorite women travel writers about their top destinations, and their recommendations may inspire your next trip. Where do the women you love to read love to go? We checked in with some of our favorite women travel writers to find out their preferred destinations. From Asian cities to windswept Irish cliffs, exciting New York to South Pacific beaches, these locales have captured our writers' imaginations—and their recommendations may inspire you to plan your next trip. While guidebook author and travel expert Pauline Frommer doesn't have just one favorite destination, she does recommend Scotland for a memorable vacation. 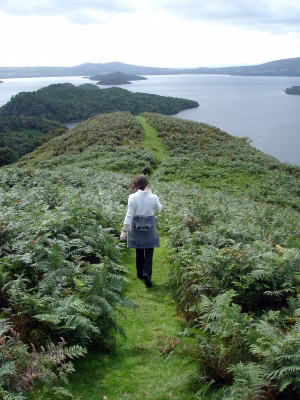 "All in all, Scotland offered charm aplenty," says Frommer. "It was an extraordinarily festive and fun place to be in August. We spent several days at the Edinburgh Festival which was an absolute hoot, theatrical from morning until night. From there, we hit the highlands, dropping in on rowdy Highland Games and hiking the Loch Lomond area." Although Scotland is not exactly a bargain destination, Frommer was able to save by staying at inexpensive B&Bs and Travelodge hotels, where her family of four could bunk in a double room. "We also picnicked while hiking, rather than running back for pricey restaurant meals," Frommer says. To start planning your trip, visit the Scotland National Tourist Board website. For Renée S. Gordon, Smooth Traveler columnist for The Philadelphia Sunday SUN, there's no better place than Manhattan, both for world-famous attractions and little-known delights. "Historic structures stand pressed between high rises and in gentrified neighborhoods," says Gordon. "These surprises, lagniappes, are sprinkled around the city. My favorite is the 1780s Dyckman Farmhouse Museum, across from a row of retail establishments on Broadway at 204th Street. "I love everything about the city ... No matter what time of day or night there is something that will extend the limits of your personal universe in an unexpected way. New Yorkers are a special breed. Contrary to popular belief they are quick to assist you, they are tolerant, flexible, witty and gritty and wonderful. You can find yourself walking beside a street person or a star and both will treat you the same way." 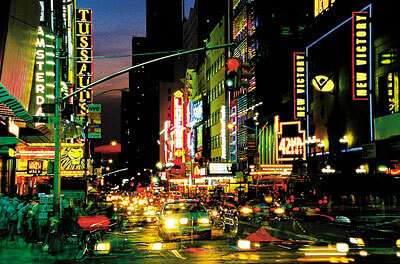 To start your New York City trip planning, visit NYC & Company. Writer and editor Kim Foley MacKinnon highlights Quebec City as one of her favorite places. "I love its history, architecture, and the cosmopolitan feel. People are friendly, the food is wonderful, shopping is great, and I always feel safe walking alone at night. Its numerous annual festivals, such as the New France Festival in the summer and the Winter Carnival are a blast." Quebec can be an affordable destination any time of year. 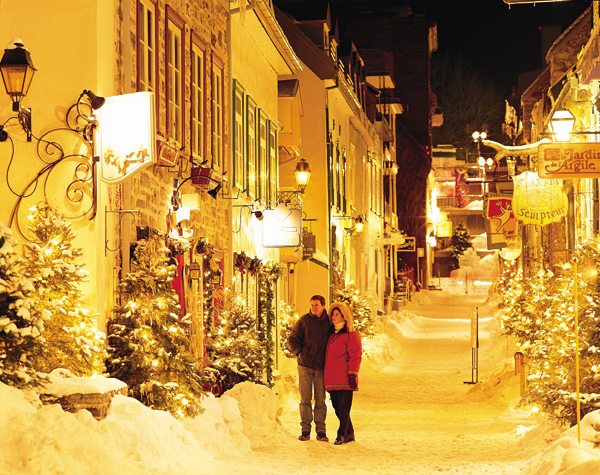 Check out the latest seasonal packages on the Quebec City Tourism website. Holly Burns, writer with Travelocity and blogger extraordinaire, chooses Cambodia as her favorite destination. "For a country with such a horrific history, the people are unfailingly kind, warm, and gracious," says Burns. "Everywhere you look, the scenery overwhelms you—Angkor Wat is just the tip of the iceberg—and you won't find a more delicious Asian cuisine than Khmer. I could live on amok, the national dish, for months. We only spent ten days there, traveling from Phnom Pehn to Siem Reap, but I'd go back in a heartbeat." For trip-planning resources, visit the official Tourism of Cambodia website. "I always recommend a visit to Cinque Terre when I hear that a friend is going to Italy," says Jennifer L. Leo, editor of the Sand in my Bra series for Travelers' Tales and travel blogger for the L.A. Times. "There's hardly a patch of Italian soil that doesn't infect a traveler with a bit of magic, whether staying in a villa outside Florence ... or bicycling on the cobblestone streets outside Lucca. But walking amid vineyards and olive orchards between the five villages on the Ligurian Sea is enchanting beyond all words. Stop for gelato, focaccia, or a swim in the Meditteranean—whatever you do, slow down and enjoy being there." 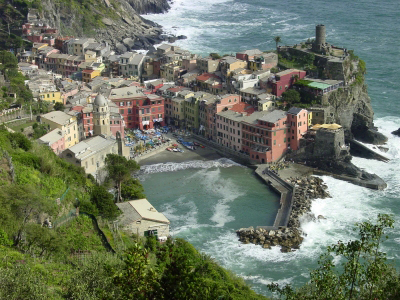 The Consorzio Turistico Cinque Terre has a comprehensive website that can help you plan your getaway to this unique Italian destination. 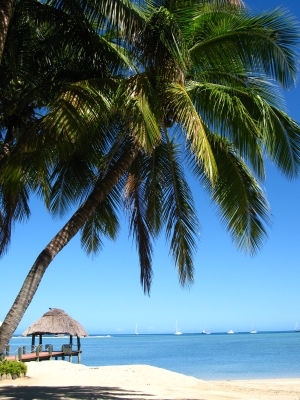 Travel writer and photographer Amanda Jones selects Fiji as her newest favorite destination. "Fiji reminds me of Tahiti 20 years ago," she says. "It has pristine beaches, serene hotel getaways, tropical waters, and some of the best scuba diving in the world. The local people are delightful. There are over 200 islands in the Fiji chain—I recommend the Yasawa Islands for people looking to drop off the planet into a remote paradise." You can find comprehensive trip-planning resources, including interactive maps, visitor testimonials, and videos, on the Fiji Visitor's Bureau website. "I try to make it to the Burren at least once a year ... I come here to breathe," says Jacinta O'Halloran, travel and style editor for DivineCaroline.com. "Burren means 'rocky place' in Irish, and it is indeed, with over 100 square miles of cold hard limestone shouldering up miles of moody grey sky." 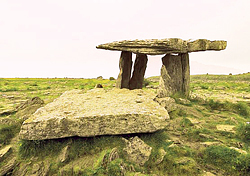 Set in Ireland's County Clare, the Burren is "home to megalithic tombs and prehistoric remains ... and rare and exotic flora that have taken root in the deep fissures of the limestone," says O'Halloran. "I stand afore Poulnabrone, a megalithic tomb that dates to around 2,500 BC, facing down the wind, soaking in the raw beauty against distant brambled-green hills, and listening to the whispers of the fairies and the prayers of my ancestors." You'll find no shortage of trip-planning tools on Shamrock.org, the Tourism Ireland website. 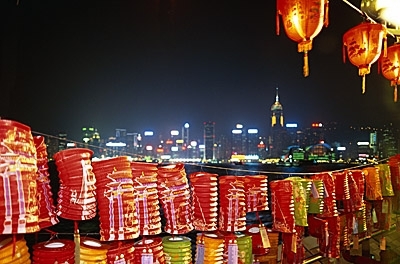 "This is a destination like no other," Evelyn Hannon, editor of Journeywoman, says of Hong Kong. "It is crowded, busy, everything happens in double time. It's fashion-plus, it's Asian, it's European. The food is fabulous and the arts scene superb. It is East meets West and concrete city versus country green. There's no place like it in the world." 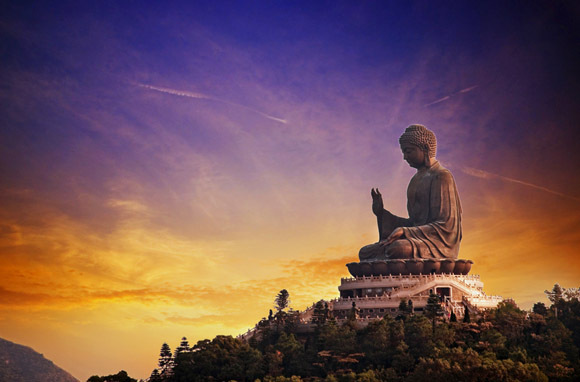 Want to experience Hong Kong for yourself? Start planning on the Hong Kong Tourism Board website. Teresa Rodriguez Williamson, author of Fly Solo: The 50 Best Places on Earth for a Girl to Travel Alone and founder of Tango Diva, a social network for women travelers, has a soft spot for Playa del Carmen in Mexico's Mayan Riviera. "'Playa' still has the charm of Mexico with all the conveniences of home—Internet, ATMs, health clubs, and great public transportation," says Williamson. "It is a cute Caribbean city only an hour south of Cancun. The silky white beach is lined with palm huts serving beer and hotels that cater to international visitors. The nightlife is fabulously chic. "It is one destination where the dollar still has some power, so things are well priced," says Williamson. "When I go there I stay at the International House school of Spanish. It is a steal at $30 per night for a room and $200 per week for Spanish lessons, which include free outings every afternoon." Put together your own Playa del Carmen vacation at the Mexico Tourism Board website. With its iconic attractions; nonstop activities; and irresistible dining, theater, and shopping; it's no wonder New York was chosen as a favorite by two of our writers. "Glamorous, exciting, absolutely electrifying, [New York] pulls you into its orbit and makes you feel like an old friend," says writer and editor Katie McElveen. 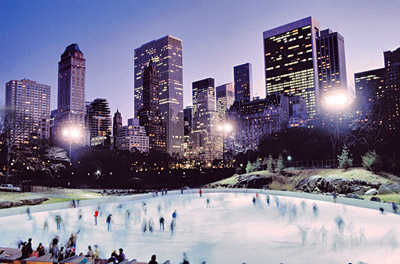 "Maybe that's because while so many things change on every visit—trendy restaurants and boutiques seem to come and go overnight—certain things that have been around forever—raisin pumpernickel bagels at Ess-a-Bagel on Third Avenue, the King Cole Bar at the St. Regis Hotel and the Wollman Ice Rink in Central Park—remind me that New York is, at its heart, a living, breathing city. Lots of places try to be authentic. New York, always on its own terms, is."